Camellia Blueberries @ Fall Creek Nursery | Plants. Varieties. Farming. Camellia blueberries are a midseason variety that was selected for its uniformly large, sky blue berries that have excellent flavor and aroma. Our early observations here in the West show Camellia blueberries be a heavy producer of medium vigor. In the southeast region, Camellia blooms 8 days later but ripens only 3 days after Star. Camellia can be planted with Star and Legacy as possible pollination choices. 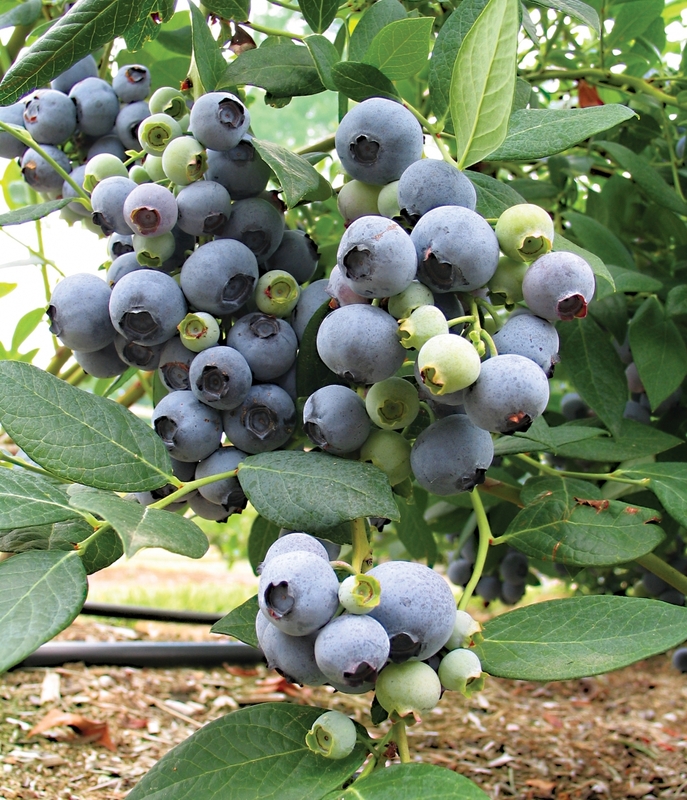 We recommend the Camellia blueberry for commercial planting where a superior flavored variety is desired. Fall Creek® and its affiliated nurseries are licensed to sell Camellia in the U.S., and exclusively licensed to sell in Europe, Chile, S. Africa, Argentina, and Uruguay. Camellia, a mid-late Southern Highbush variety, is a very vigorous, heavy producing variety with large, firm, light blue berries. It tolerates heat well, and shows good adaptability in difficult soil conditions.